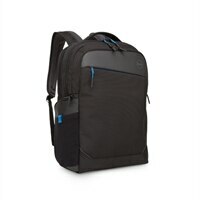 Dell Professional Backpack 17The Dell Professional Backpack 17 securely stores your 17” laptop and tablet within a dedicated plush lined laptop compartment and tablet pocket while you’re out and about. Multiple storage compartments organize and protect your everyday office essentials. Water resistant and durable materials protect your laptop and accessories from the weather while reflective accents on the bag provide increased visibility during low light commute hours. Carry the backpack in three comfortable ways using the padded handle grab, adjustable padded shoulder straps, or the trolley pass-through for attaching to rolling luggage. You can also charge your laptop within the bag on-the-go with a portable battery charger (sold separately) tucked neatly in the dedicated battery pocket via a cable pass-through. 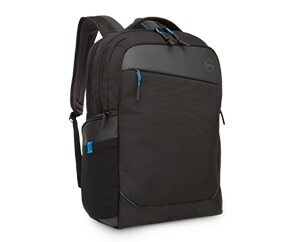 Keep your 17'' laptop, tablet, and office essentials safe and secure within the stylish Dell Professional Backpack 17. Keep your laptop, tablet, and all your office essentials protected wherever you go with the Dell Professional Backpack 17. Your 17'' laptop and tablet will be securely protected within the dedicated plush-lined laptop compartment and tablet pocket. The backpack is lightweight and comfortable for easy transport. 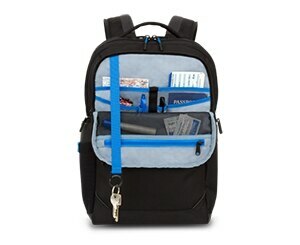 Multiple storage pockets organize and store all your everyday essentials. 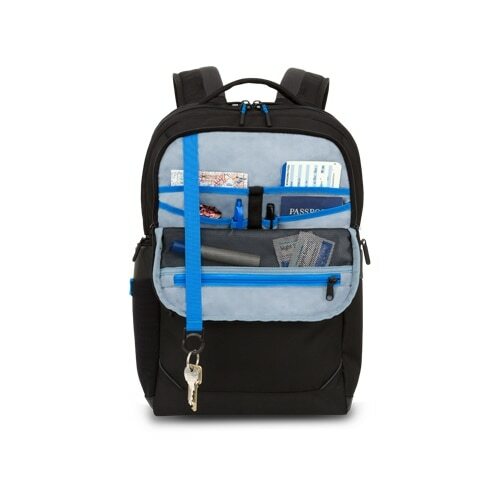 The Dell Professional Backpack 17 fits up to 17'' Dell laptops for secure protection wherever your busy day takes you. 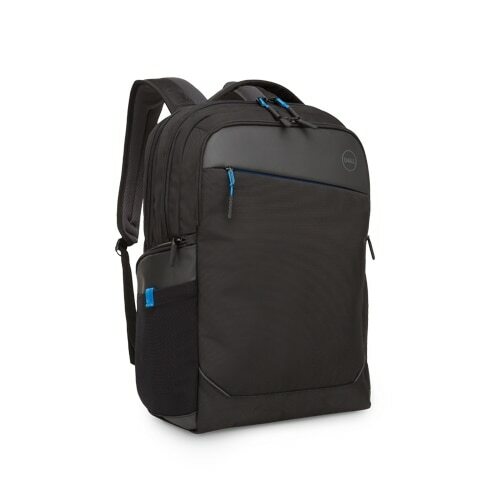 The Dell Professional Backpack 17 securely stores your 17” laptop and tablet within a dedicated plush lined laptop compartment and tablet pocket while you’re out and about. Multiple storage compartments organize and protect your everyday office essentials. Water resistant and durable materials protect your laptop and accessories from the weather while reflective accents on the bag provide increased visibility during low light commute hours. 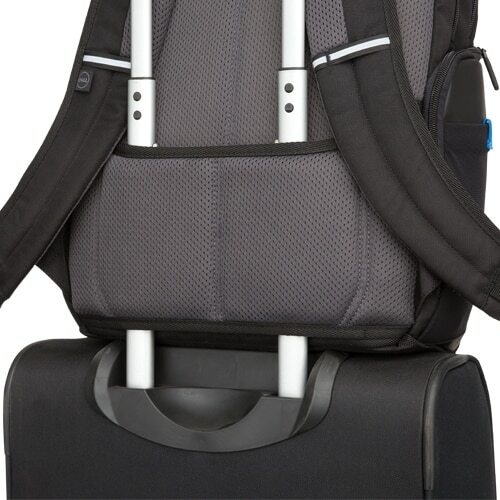 Carry the backpack in three comfortable ways using the padded handle grab, adjustable padded shoulder straps, or the trolley pass-through for attaching to rolling luggage. You can also charge your laptop within the bag on-the-go with a portable battery charger (sold separately) tucked neatly in the dedicated battery pocket via a cable pass-through.